Why do some governments continue to support the production of harmful commodities? This question is most vexing to those striving to control what is one of the world’s biggest public health threats ever to be sold to human beings: tobacco. One billion people worldwide still consume cigarettes, leading to 7 million deaths annually and innumerable afflictions, despite even the transnational tobacco companies now acknowledging the harmful effects of their product. Why is it so difficult for governments to control tobacco? One answer is that tobacco interests are well resourced and highly litigious. Tobacco companies routinely challenge tobacco control measures in any legal forum at their disposal. The promising news is that legal decisions almost universally uphold government tobacco control measures, including in domestic courts, at the World Trade Organization and in investment arbitration. The consistent behavior of the tobacco industry in the past suggests that such opposition will likely continue into the future. As damaging and often less well understood is resistance to global tobacco control from within government itself. Recently, our team set out to identify and better understand the resistance to tobacco control from the economic sectors of government in sub-Saharan Africa. We talked to fifty-five individuals from across government sectors (e.g. health, agriculture, trade), and from non-governmental organizations and industry. We conducted this exploration in three tobacco growing countries; Kenya, Zambia, and Malawi. Our study set out, in part, to examine the political and economic obstacles to controlling tobacco leaf production through policy measures. Unsurprisingly, our findings suggest that government officials in the trade, industry, agribusiness, and investment sectors were not particularly keen to halt tobacco growing and production through policy interventions. The major narrative among these individuals was that tobacco is a key economic commodity that contributes to the economic livelihoods of tobacco farmers and the public purse. Some of our other work is beginning to provide evidence that questions the validity of this narrative. What is particularly troubling is that this economic narrative is reinforced by entrenched global economic norms that shape the development discourse. For example, not only did we hear government officials talk about the economic benefits of tobacco growing, we also saw how this idea was expressed in international and development plans for the countries. 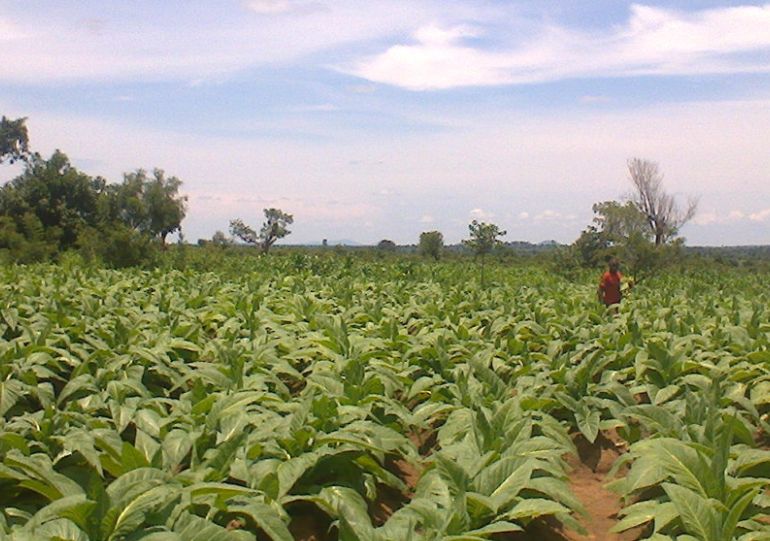 A joint report published by the United Nations Conference on Trade and Development and the Zambian government, for example, presented tobacco production as an opportunity for Zambia to attract investment for “value addition”, namely developing tobacco processing and manufacturing facilities within the country rather than simply exporting the leaf for processing and manufacturing abroad. What is disturbing about this initiative is that Zambia has also ratified the World Health Organization Framework Convention on Tobacco Control, which expressly obliges countries to move away from supporting tobacco production: leaf, manufacturing or otherwise. What we see within government (and not only in the Zambian case), is a tension between health and economic objectives that is reinforced by incompatible health and economic norms at the international level. It seems that this confounding policy environment rests upon an ideological commitment by economic sectors to pursue growth and capital accumulation without consideration of the short and long term social and economic consequences of this pursuit. In other words, tobacco is viewed simply as any other legal product, entitled to public support for its potential to contribute to economic development. We suggest that any attempt at policy coherence within government, something now called for under the new Sustainable Development Goals, will require deep engagement with the theories and models that drive policy. This will require public health researchers, advocates, and policy-makers to challenge the assumptions of an economic development orthodoxy that sees support for harmful products such as tobacco as justifiable in order for countries, especially low-income countries, to grow their national economies.